2SK2167 Pinout will be updated soon..., now you can download the pdf datasheet to check the pinouts ! 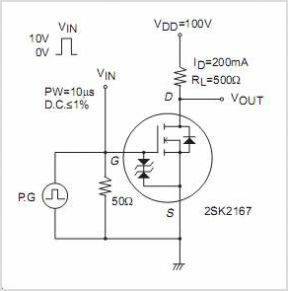 This is one application circuit of 2SK2167,If you need more circuits,please download 2SK2167's pdf datasheet. FDS6986S, Dual Notebook Power Supply N-Channel PowerTrench SyncFET?